Seeds or plays on table. (Unique.) 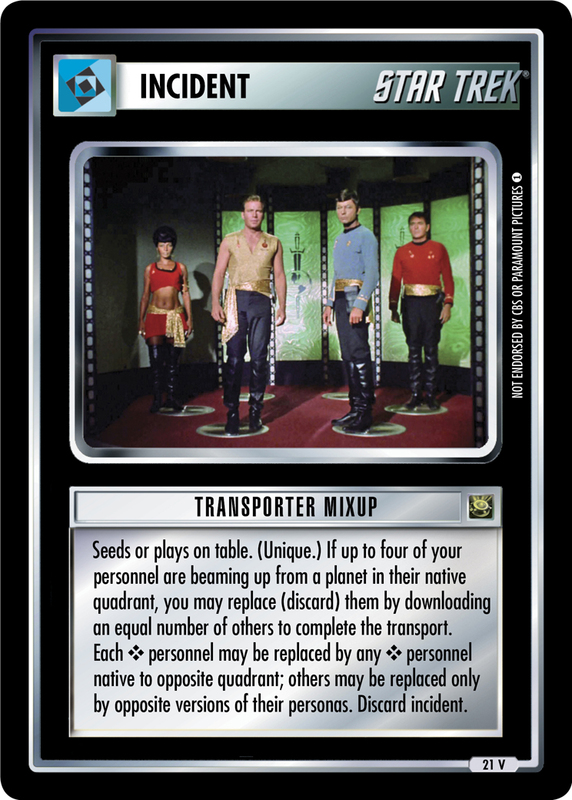 If up to four of your personnel are beaming up from a planet in their native quadrant, you may replace (discard) them by downloading an equal number of others to complete the transport. Each ❖ personnel may be replaced by any ❖ personnel native to opposite quadrant; others may be replaced only by opposite versions of their personas. Discard incident.